Hayden recently graduated from Curtin University in 2018 with a degree in Physiotherapy. He has had experience in treating clients with a variety of musculoskeletal conditions including Joint Pain, Muscle Strains, Tendinopathies and Orthopaedics. Hayden has experience working in private practice as well as in hospitals treating people across all lifespans from Paediatrics to Geriatrics. 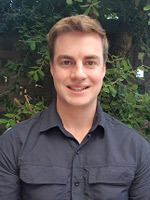 As a new graduate Physiotherapist with Complete Care Health Hayden is well equipped to apply the latest evidence based knowledge he has gained from some of Australia’s most experienced physiotherapists at Curtin University.